E-commerce is exploding throughout the world as more consumers every year are making purchases and doing business online. The online shopping experience is convenient and money-saving, but can often come across as a cold, distant business relationship. Packaging Design Corporation can help you convey your branding messages with dynamic e-commerce subscription packaging. 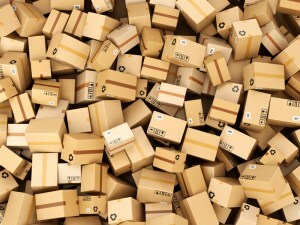 The professional e-commerce subscription packaging services offered at Packaging Design Corporation will represent your brand with easy to use and store custom folded boxes for efficient packaging. For complete information on the wide range of hanging product displays for retail and all the customized packaging and display designs from Packaging Design Corporation, call 630-323-1354 now to speak with a qualified representative about the extensive inventory of e-commerce subscription packaging and long line of custom packaging and display options at Pack Design. You can also email anytime at info@pack-design.com and we will respond shortly. At Packaging Design, a talented team of design, packaging, and retail display experts will guide you through the production process and provide extraordinary care and attention while supplying affordable e-commerce packaging design solutions. The right e-commerce subscriptions packaging can say a lot about your brand and can communicate your message or mission statement. Our e-commerce subscription packaging will represent your brand’s identity and proudly display your product so that there are no unexpected surprises when your customer opens the box. Call 630-323-1354 now to speak with a qualified representative about the extensive inventory of e-commerce subscription packaging and long line of custom packaging and display options at Pack Design.